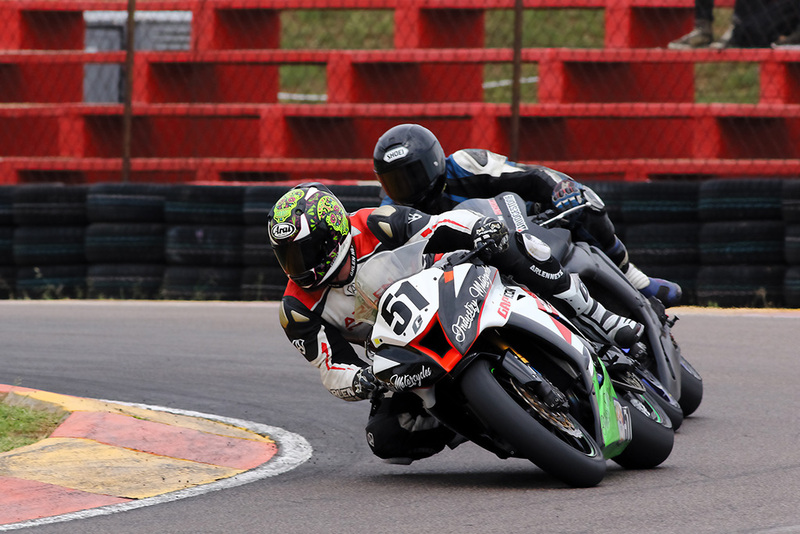 The Midvaal Raceway near Meyerton will host the 2019 Regional Extreme Festival on Saturday, with five categories on four and two wheels to participate. The MotorMart Volkswagen Challenge races will top Saturday’s Extreme Festival programme at the Midvaal Raceway. Picture: Dave Ledbitter. 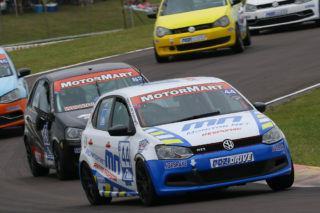 Topping the day’s activities will be two races for MotorMart VW Challenge contenders, with 27 competitors to line up. 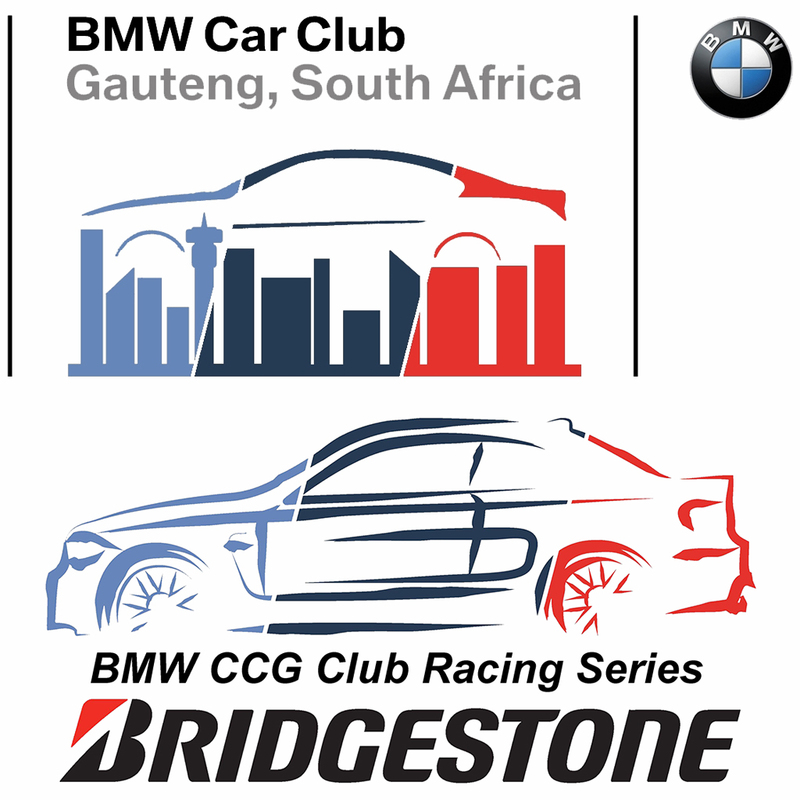 Current championship points leader Rory Atkinson (BHIT Polo) will start as the man to beat, with his closest adversaries people like Lyle Ramsay (Monroe Polo), Waldie Meintjies (Allwagen Spares Polo), Bevin Masters (CPS Warehouse Polo), Eric Gander (DNA Choices Polo) and Mohamed Dangor (MotorMart Polo). 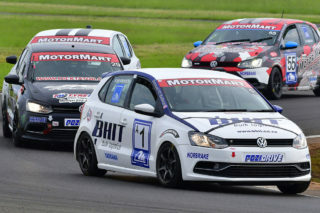 Fighting for positions in Class B will be drivers like Stiaan Kriel (Kalex Polo), Deon Hollday Senior Centparts Centurion Polo), Elna Croeser (Race Technology Polo), Chris Dale (Blue Belt Polo), Craig Napier (SA Pool Liners Polo), Stuart Mack (Race Technology Polo) and Piet Potgieter (Nathans Polo). 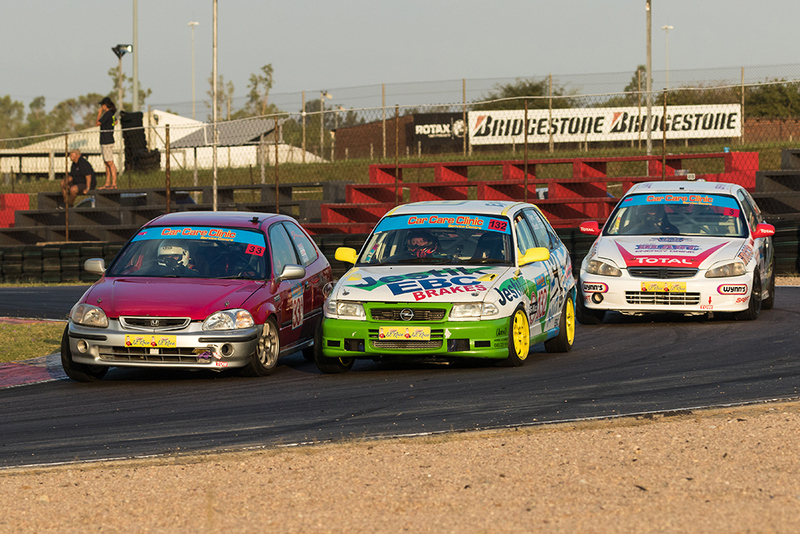 Jonathan du Toit (TAR Honda Civic), Tyler Scott (Episerve Opel Kadett) and Brett Garland (AutObarn Honda Civic) should run up front in the Car Care Clinic Superhatch races. 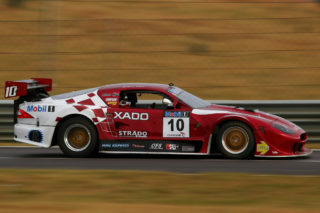 Picture: RacePics. 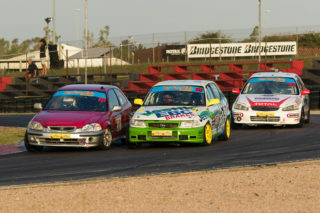 Lange (Roofsure Audi) and Tyler Scott (Episerve Opel Kadett). 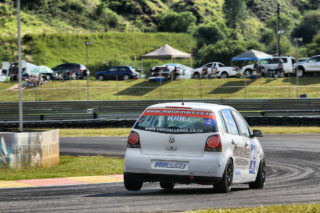 Others to watch must include Nic Martin (Rex Diff Peugeot), Melanie Spurr (Itre Cugini Polo), Wouter Roos (Nathans Polo), Vernon Stoltz (Episerve Opel Kadett) and Shane Forget (4JS Auto Opel). The races for Car Care Clinic 111 Sports and saloon Cars should see front runners like Wouter Roos (Nathans VW Golf), Dirk Lawrence (Vaal Timbers Honda Ballade), Danie Deysel (Tyre City Honda), Bertus van Jaarsveld (VW Polo), Phillip Meyer (LSC Group Porsche), Phillip Emmenis (Rotary BMW E36) and Danie Deysel (Tyre City Honda). The day’s closest racing should be provided by the Hankook Formula Vee brigade, where drivers like Gert van den berg (Hankook Rhema), Jaco Schriks (Cubed Coatings Rhema), Lendl Jansen (Bull Security Forza), Michael Kernick (Tasman 95), Brandon Hills (Mangaza Consulting Rhema) and Shaun van der Linde Truck City Rhema) should be front runners. After an absense of more than a decade, motorcycles will return to the Midvaal Raceway on Saturday. Picture: Paul Bedford. For the first time in a decade, motorcycle racing will return to Midvaal, with the programme to include two races for Bridgestone Challenge Superbikes. Top ridwers should include Nasief Wadvalla (Fastbike Yamaha), Hennie Swanepoel (Industry Motorcycles Yamaha), Zaidy Williams (Fastbike Kawasaki), Neo Khoza (Habaswe Suzuki), Keith Bothe (Catch 22 Honda) and Landi Sinden (Milwaukee Suzuki). Tha Midvaal gates will open at 7am, with qualifying sessions from 8am. Racing will commence at 10.30am. Admission will cost R50 per aqdult, parking is plentifull and free, you may visit the pits on foot at any time, with food and drink on sale, or you may take your own. To find out more, call the Midvaal circuit office at 016 100 1572.